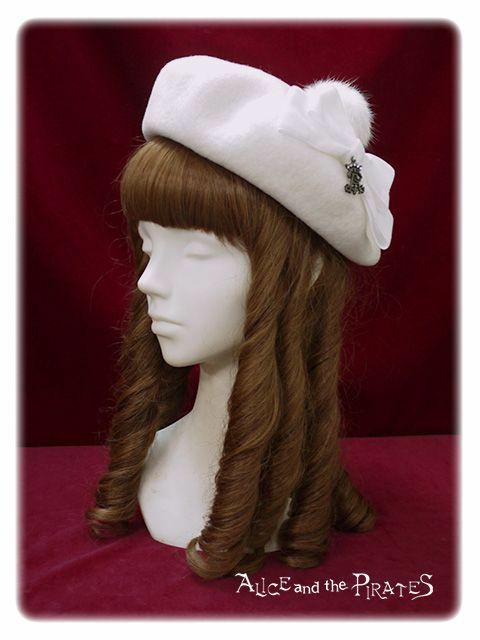 Beautiful white wool beret by Alice and the Pirates. 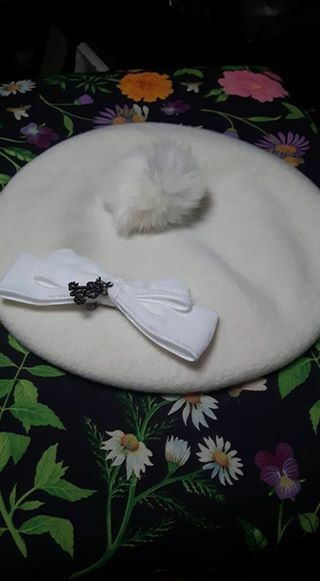 Featuring a pom pom decoration in the centre, and a ribbon bow with logo charm. 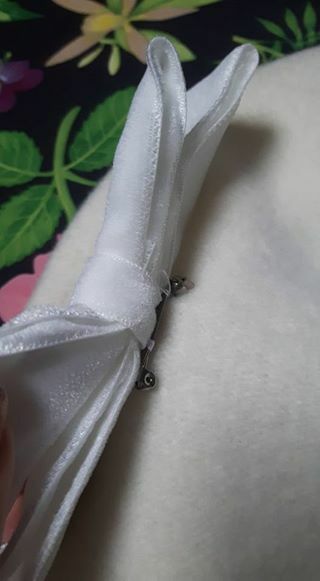 The bow is a brooch and can be removed. 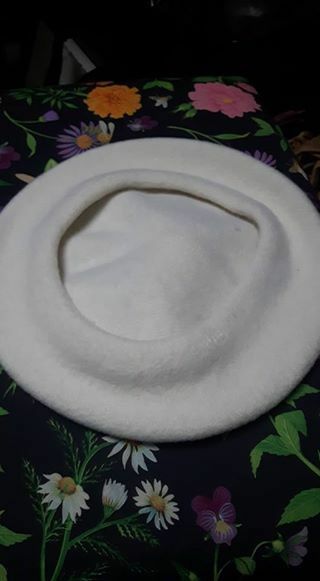 Only worn once, so in excellent condition.